In a Houston death-penalty case that reached the U.S. Supreme Court and resulted in a decision overturning the Texas courts' standard for determining Intellectual Disability in capital cases, prosecutors have conceded that Bobby James Moore (pictured) is himself intellectually disabled and ineligible for the death penalty. In a brief filed November 1 in the Texas Court of Criminal Appeals, Harris County prosecutors agreed with Moore's lawyers and mental health advocacy organizations that Moore meets the medically established criteria for intellectual disability and cannot be executed. Moore had been convicted and sentenced to death for his involvement in the armed robbery of a Houston supermarket in 1980 in which a store employee was shot to death. Subsequently, the U.S. Supreme Court ruled in 2002 in the case of Atkins v. Virginia that the execution of individuals with mental retardation—now known as Intellectual Disability—violated the Eighth Amendment's proscription against cruel and unusual punishments. In 2014, a Texas trial court determined that Moore qualified as intellectually disabled under the clinical standards accepted in the medical community. However, the Texas Court of Criminal Appeals reversed that ruling, saying that to be considered intellectually disabled in Texas a death-row prisoner must meet a more stringent standard for proving impaired adaptive functioning, consisting of a set of lay stereotypes known as the “Briseño factors” (named after the Texas court decision that announced them). The U.S. Supreme Court rejected the use of the Briseño factors, calling them an unscientific "invention" of the Texas courts that was "untied to any acknowledged source" and that lacked support from "any authority, medical or judicial." The Court sent the case back to the Texas Court of Criminal Appeals in March 2017 with instructions that any judicial determination of whether a death-sentenced prisoner is intellectually disabled must be “informed by the medical community’s diagnostic framework." 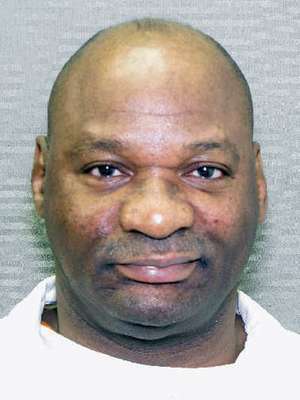 In their brief to the Texas appeals court, filed after the remand, Moore's lawyers wrote that "[a] review of the Supreme Court's decision and the record before this Court supports but a single conclusion: Bobby James Moore is intellectually disabled under current medical standards and ineligible for execution" and they asked that the state court "reform his death sentence to a term of life imprisonment." Harris County prosecutors agreed. District Attorney Kim Ogg said in a statement released to the media, "I'm doing what I believe the law requires.... The nation's highest court has ruled that intellectually disabled persons can't be subject to the death penalty." The Texas Court of Criminal Appeals still must rule on the case before Moore can be taken off death row. (K. Blakinger, "Prosecutors ask for life sentence for Texas death row inmate Bobby Moore," Houston Chronicle, November 1, 2017; "Supreme Court gives Texas inmate another chance to prove he's intellectually disabled to avoid the death penalty," Reuters, March 28, 2017.) See Intellectual Disability. Brief of Amicus Curiae American Psychological Association, et al. Brief of Amicus Curiae NAACP Legal Defense & Educational Fund, et al. Brief of Amicus Curiae "Prominent Texans"